Mission Christmas is here! With some help from this little guy… Reliant the Robin. Please donate if you can, and he’ll make this Christmas Day different for disadvantaged children near you. For the third year running Inoplas staff are buying extra gifts to support this wonderful cause and we are also acting as a hub to enable anyone in the surrounding area to drop them off here in Ferndown and we then make sure they get to the charity to distribute before Christmas. Be part of our mission! 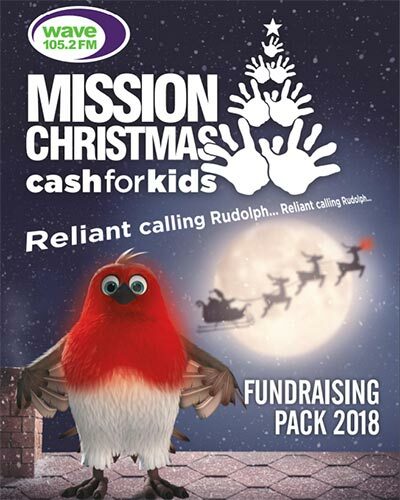 Mission Christmas is back to make this Christmas Day different for local children living in poverty. It’s a heart-breaking thought, but there are thousands of children living right here in our community who are in danger of waking up to no presents on Christmas Day. For some families Christmas is a luxury they just can’t afford. Every gift donated and every penny raised stays local - so you can be sure that your generosity will benefit children living in our area. HELP BRING CHRISTMAS TO LOCAL CHILDREN LIVING IN POVERTY WITH INOPLAS.